In the parliamentary elections of spring 2019, advance voting will be organised in Poland from 3rd to 6th April. Check advance polling stations and times below. A possibility to vote by post will also be introduced in Finland in the parliamentary elections. 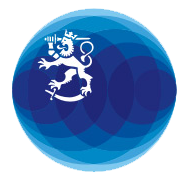 The parliamentary elections take place in Finland on Sunday 14th April 2019. Every Finnish citizen who has reached the age of 18 not later than on the day of the election is entitled to vote in parliamentary elections. A passport or some other official ID must be presented at the polling station. The notice of right to vote may be presented but voting is possible also without it. Also elections to the European Parliament (European Elections) will be held this spring, in May. Advance voting will take place in Poland only at the Embassy in Warsaw on 15–18 May 2019.